They have received signals and prepared their Hilux vans to ensure that Trump Solidarity Rally is stopped; Nigeria did not sanction it and it is antagonistic; dressed in a black security outfit, the DSS, while SARS dressed in mufti, soldiers in their camouflage while the police were in their usual uniform. They firmly held their AK47 riffles and waiting for assault on unarmed and peaceful activist celebrating the enthronement of Donald Trump simply because they are Biafrans. The early activists that stormed the ground were victims of unwarranted attack; sirens on its loudest, marching in a war formation while they obstructed the early activists that had stormed the ground, looking so mean and determined, it was a show of strength. 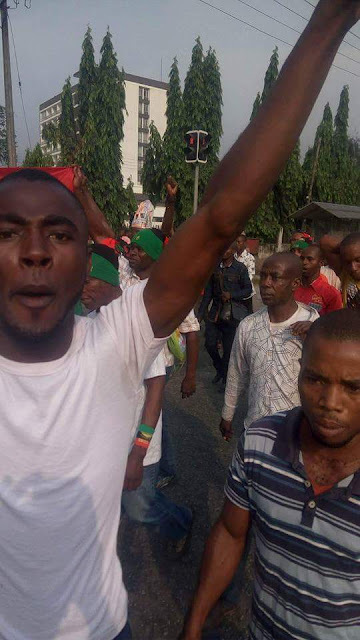 While unarmed and peaceful people of Biafra waited; the Nigerian security forces also waited but they later advanced against the people resulting to arrest of five and the people changed venue. As at 9am; the new venue was already filled by millions of people that took the Nigerian security forces by surprise. When the security men stormed the area; they were intimidated by the crowd that there was no other option but to succumb. 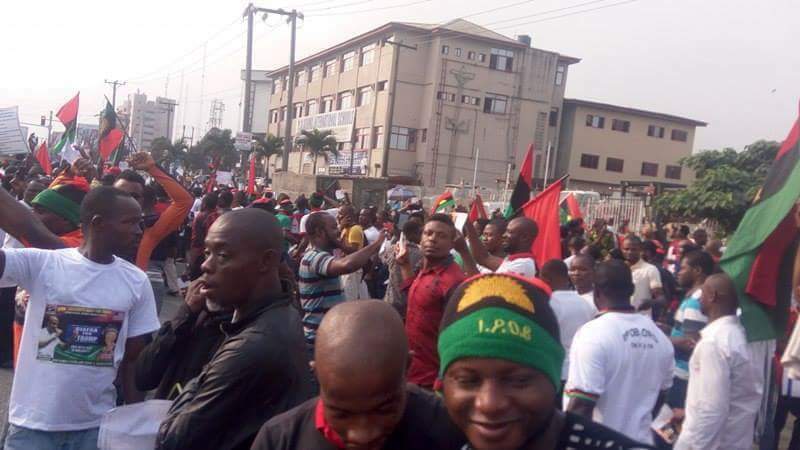 The Biafra Reporters correspondent confirmed that the security forces conceded and called the Rally leaders and a compromise was reached. According to our reporter; the Rally leaders simply told them that the millions of people gathering for this rally cannot be stopped and any provocation will result to genocide against Trump’s children and he won’t be happy. The security forces accepted and called their superior who urged them to back down. “Right now, I have never seen this kind of crowd in my life, the people are so happy, we are now marching freely and the army cannot do anything. We are too much that we intimidated them; we are marching for real” our correspondent said.